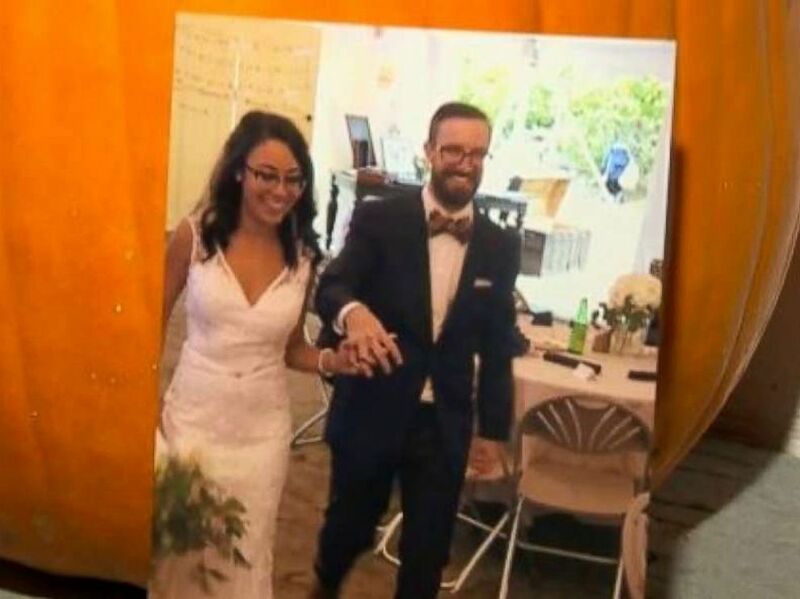 The body of a newlywed was discovered in Costa Rica on Saturday, bringing to an end a short search for the groom after he was swept away by floodwaters on his honeymoon in Costa Rica earlier this week. Josh Byrne, a native of Hudson, Massachusetts, was married just last weekend to wife Bianca on a farm in New Hampshire, according to Boston ABC affiliate WCVB. The family announced the sad news Saturday evening. "It is with heavy hearts that we have concluded our search for Josh," the family said in a statement. "After working around the clock, our search and rescue mission ended today with the recovery of Josh’s remains." They thanked state Reps. Niki Tsongas and Kate Hogan, Massachusetts Sen. Ed Markey, the Red Cross, the State Department and U.S. Embassy for their efforts in the search. Friends and family of Josh and Bianca Byrne gathered in Hudson, Mass., on Saturday, Oct. 13, 2018, before hearing the news that Josh's body was found after he drowned on his honeymoon in Costa Rica. "They just got married, and this was their honeymoon that they spent all this money on and now a few days into it and this happens," cousin Nick Gibson told WCVB. The couple had flown to the west coast of Costa Rica following their wedding and were in Playa Dominicalito when they attempted to drive across a bridge, but were swept away by floodwaters. Byrne, 30, could not swim and was not able to make it to shore. Josh's brother and father had flown to Costa Rica to assist in the search on Friday. Josh Byrne, in a photo with new wife Bianca, drowned on his honeymoon in Costa Rica. His body was found Saturday, Oct. 13, 2018. "Josh holds a special place in all of our hearts and will always be remembered for his helpful and caring demeanor, his ability to make friends in any setting, and his love for his wife, Bianca," the family statement said. "Please keep Bianca, the Byrne family, and his many friends in your prayers." Costa Rica's National Meteorological Institute reported the western coast of the country received about 6 inches of rain on Thursday from a tropical wave and forecast another 2 to 3 inches of rain in the area on Friday.